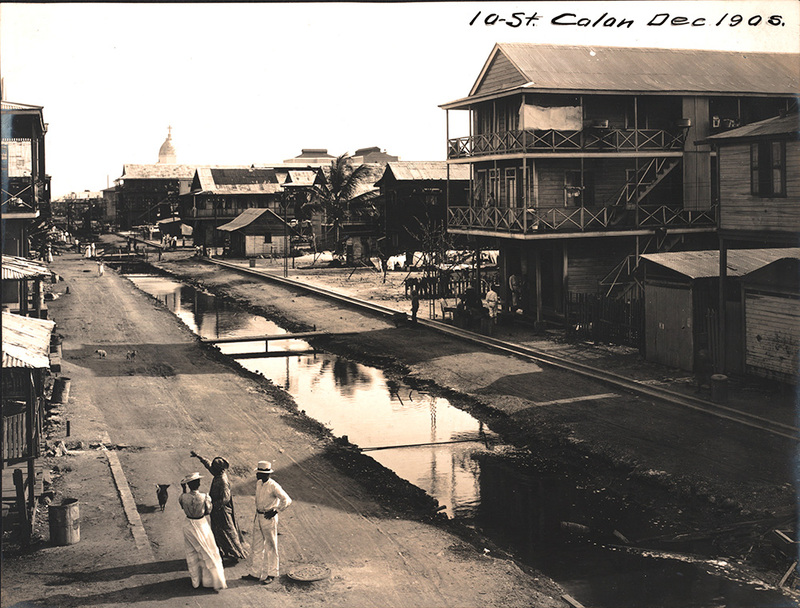 Tenth Street, Colón, before paving. 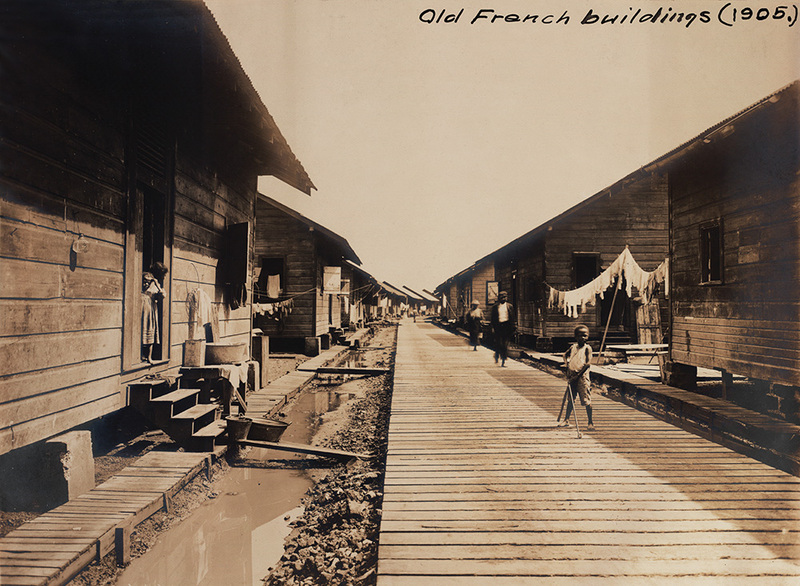 Housing for unskilled laborers in Cristóbal. Housing provided for unskilled workers by the I.C.C. was rudimentary, at best, and windows often were not equipped with screens. 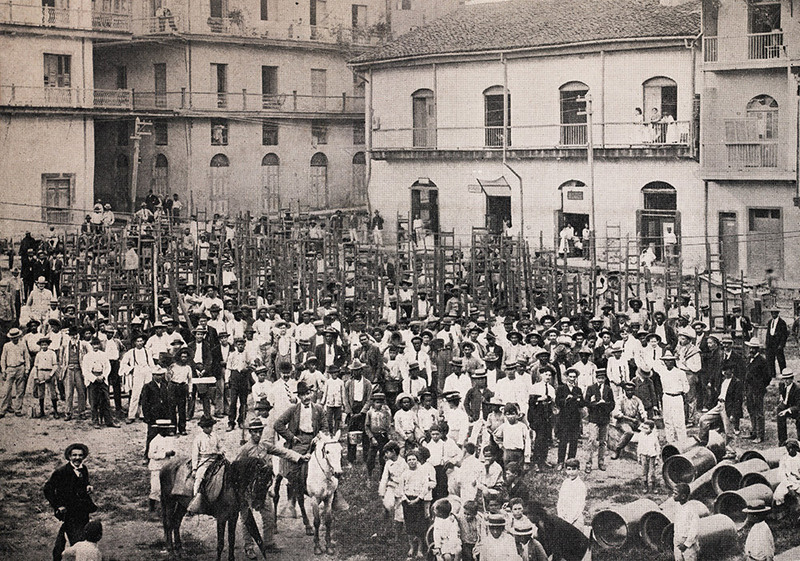 Native and West Indian laborers were assumed to be immune to yellow fever and malaria, but, though many natives were immune to yellow fever, malaria could disable thousands of workers for weeks at a time. 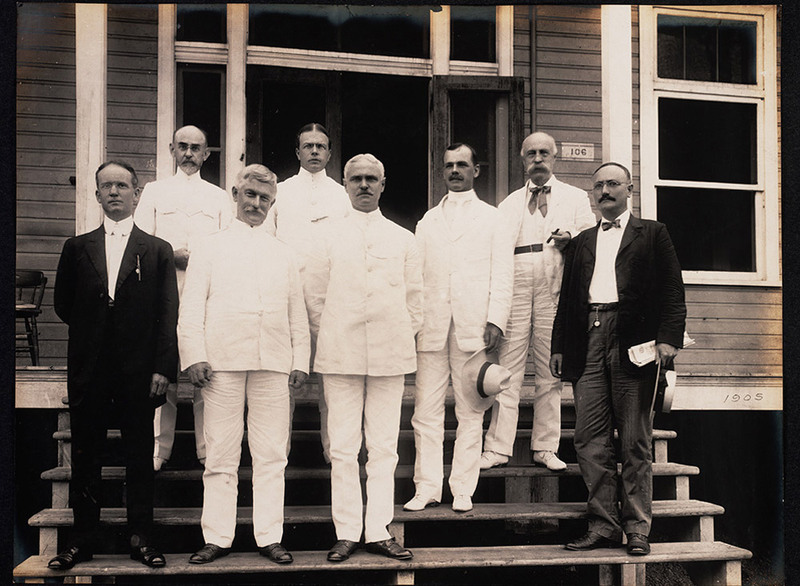 Members of the Third Canal Commission for Canal Construction, 1907/1908. From left to right: Jackson Smith, Joseph Bucklin Bishop, Col. William C. Gorgas, H.H. Rousseau, Col. George W. Goethals, Lt. Col. David D. Gaillard, J.C.S. Blackburn, Maj. William L. Sibert. The French hospital at Colón. Over 22,000 workers died during the French effort to build the Canal, many of them from malaria and yellow fever. The symptoms of yellow fever were terrifying: fever, headaches, back pain, extreme thirst, and black vomit from internal bleeding. The disease could progress to kidney failure, seizures, coma, and death. It was called yellow fever because patients took on the yellow tinge of jaundice when the illness attacked the liver. When the U.S. took over building the Canal in 1904, Theodore Roosevelt appointed Colonel William Gorgas to the post of Chief Sanitary Engineer. Gorgas had successfully eradicated yellow fever from Cuba in 1901 after the discovery that the mosquito Aedes egyptii was the carrier of the disease. Though discovered in 1881 by Dr. Carlos Finlay and proven through repeated experiments by Dr. Walter Reed in 1900, the mosquito theory was not yet widely accepted in America. Most people, including the members of the Isthmian Canal Commission (I.C.C. ), still believed yellow fever was caused by “bad air” resulting from filth and decomposing matter, and that it was spread by “fomites,” which were things likely to be contaminated by the fever victim, such as bedding and clothing. The I.C.C believed Col. Gorgas was wasting time and money by going after mosquito breeding areas and initially resisted giving him the full complement of men, medicines, and supplies that he had requested. 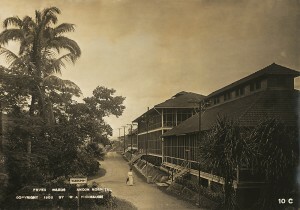 After several deaths in early 1905 caused some 500 American workers to flee in panic from the Canal Zone, the I.C.C. asked President Roosevelt to replace Gorgas, blaming him for concentrating on mosquitoes and not on cleaning up filth. Roosevelt, instead, threw his support behind Gorgas, enabling him to deploy 4,000 people to fumigate homes, put up screens, eliminate standing water, and spray drains and pools with oil to kill mosquito larvae. 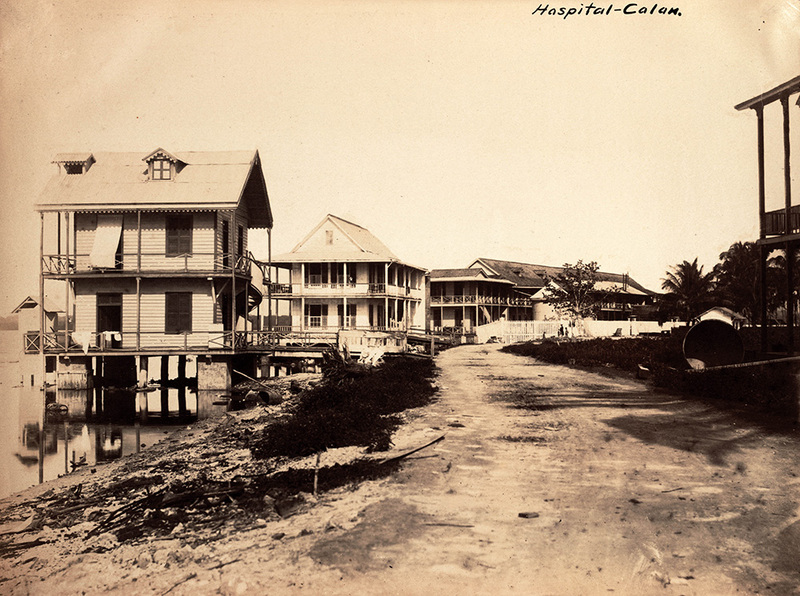 By the end of December 1905, there were no more deaths from yellow fever in Panama. Fever wards at Ancon Hospital, 1908. 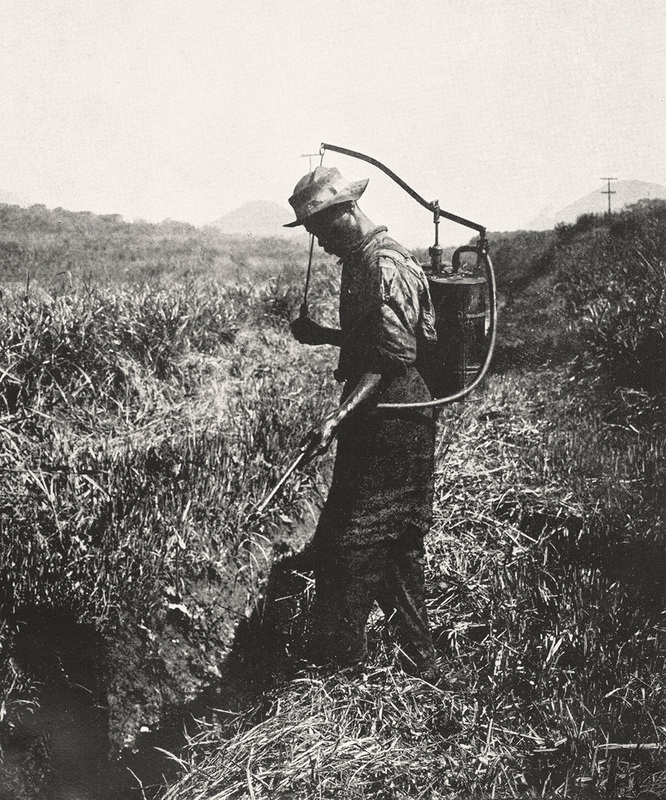 Fumigation brigade in Panama, 1905. 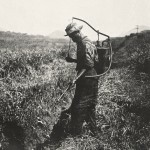 Fumigation gangs armed with ladders and buckets of wall paste cleaned up filth, emptied standing water, and fumigated houses by first pasting up cracks and crevices then burning pyrethrum powder to kill mosquitoes.